Ideas, be they good, bad, or just plain outlandish, sometimes come to us when we are engaged in other activities. 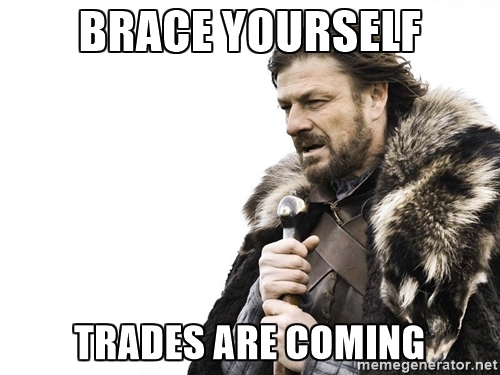 The other night, I was driving out to a restaurant for dinner and the talk of trades came up in the car. This topic, as I have pointed out many times, tends to give me a headache. There are so many factors, unknown variables, etc. that go into it. None of us are the General Manager of any hockey team, so all that can be done is speculate the "what if's" and that can go one and one until faces turn blue. But, it was a game night so it was relevant conversation. 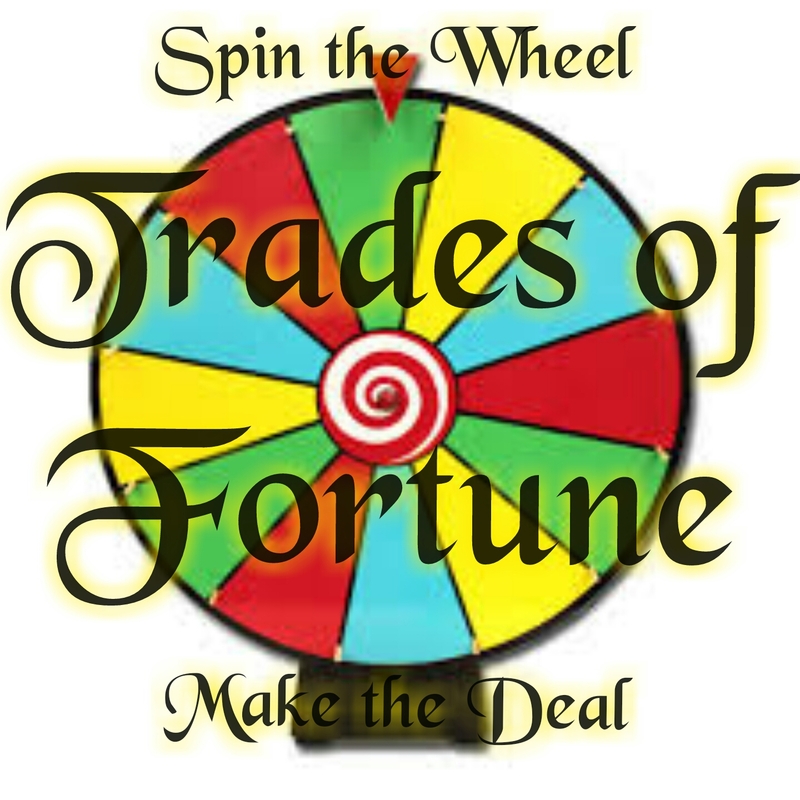 Then a radio commercial for a game show came on and it got me thinking; what if trades were done more like a game of Wheel of Fortune? While the concept, in reality, is rather unfathomable it is an idea was fun to bat around at that time. All teams that have made the definite decision of trading players before the deadline meet at the NHL office in Toronto on a specified date determined by the league. The League will have constructed Trade Wheels to be spun by each GM in attendance with each GM receiving up to three spins that be used in any manner. This can be on all defensemen, all forwards, or any combination that would fit the team's need. There will be three said Trade Wheels. One for all available forwards, one for all available defensemen, and one for all available goalies at the time that are not under a no movement agreement. The set up of these wheels will be up to the judgement of the league whereas each a lot on the wheel could represent one individual player directly or represent a color grouping with a certain number of players under each color for the GM to chose from. 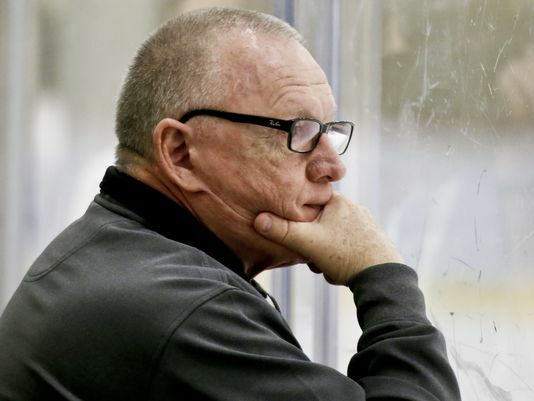 For example, say it was General Manager Jim Rutherford's turn to spin. If it were set up that each slot had an individual players name on it, he would be forced to take whatever player the wheel landed on without argument and make any deal to make it happen under the cap. On the other side, if the slots were colors that represented groups of players, the GM would be able to chose a player from within that group to fill the need of what he was looking for. So again, for example, say the color grouping of blue had Kevin Shattenkirk, Dougie Hamilton, Tyson Barrie and Brent Burns in it and GMJR spun the wheel and landed on blue, he would get the choice of one of those four defensemen. Other variables will also be added to each wheel for added suspense. Variables would include (but are not limited to) situations such as "lose a spin", "cap space extension of x-amount of dollars", "multi-player deal" or a deadly "no trades". The "No Trades" acts as "bankruptcy" and nullifies any and all spins and any and all deals that are pending. The GM and therefore, the team's coaching staff, must make due with the players already in place. GM's will spin the wheel in an order determined by lottery. Once a slot is landed upon and claimed, the slot is blacked out or another player could be added if a team is willing to put up more than one for trade considerations. Once a GM has exhausted all spins (or has, to their dismay, landed on the "no trades" bar), all deals must be made accordingly, regardless of cap. You make the deals you have to with the money and players at your disposal in your organization. An interesting concept indeed. When it is all over, the team must play out their season with what they get, or don't get, and rely solely on the ability of the coaching staff to build up the team and make the most if player's abilities while integrating the new personnel in order to be more competitive instead of resting on the ability of one player to make an impact. How long improvements take relies on the team as a whole, not just on one player to adapt. It makes it even more interesting when you think about the upcoming expansion draft and whether or not re-evaluation will need to take place on who to protect. Admittedly, there are other factors to be taken into account such as the aforementioned no movement agreements, how a team can make adjustments in regards to their minor league affiliates and all that mathematical jazz. There are also little open ended details that will take too much time to go into, but the overall idea is as simple as it comes; one spin can change the outlook and course of a team and it's season. It is just like in life. One decision, one roll of the dice, one "spin of the wheel" can change the entire outlook of what is to come. You have to roll with what comes at you. It may be what you hoped for, then again, it may not. It is all in how you handle it and if you have faith in the ability of those around you to get things done for the betterment of the team and the organization. This format would make the idea of trades more exciting. It would also do away with the rumor mills or fake social media posts that seem to pop up more the closer the trade deadline gets. While this idea is on the more farfetched side and may not hold water, it is a lot more fun to think about than the usual style of dealing players.